In the market for a new pickup truck in the Huntingdon area? 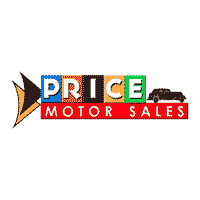 Look no further than the new Ram inventory at Price Motor Sales. Whether you choose new Ram 1500, a powerful Ram 2500, or the strongest Ram 3500, you can accomplish any Mount Union job with ease. Explore our current Ram truck inventory online, then visit us to explore their specs and performance in person! If you’re unsure whether you should choose a Crew Cab or a Quad Cab for your RAM pickup truck, you can explore their differences with us to help make your decision. If your concern is bed size, the Quad Cab will probably be the right option, while the Crew Cab is ideal for those who need more passenger space. Once you pick your Ram truck, it’s time to take on the Altoona roads! Be sure to explore our new CDJR incentives before stopping by, and contact us with any questions you have about Ram 1500 trims or weights. We look forward to helping you find the right truck for your State College work needs.